Our products are known for their high tensile strength, robust construction, reliability and durability. Also, due to their unbeatable features, our products have earned loyalty of our customers. 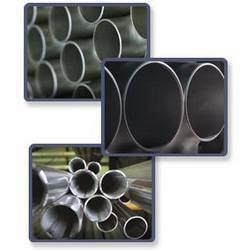 We bring to our customers a quality range of steel pipes at competitive prices. Nandishwar Steel provides the Technical Information to our clients such as data sheet carrying technical details for installation of our products. Nandishwar Steel offers high quality of Installation Data Sheet. Kindly refer to the attached PDF for technical information.